It's that time of year again, time for Tracey's 25 Days of Christmas Tags and today's featured company is of course Lawn Fawn. I used Winter Alpaca along with the Knit Picky collection to create this tag. I used the stitched tags and the winter tiny tags dies for the main part of the tag and the snowflake inside. My little alpaca is colored with copic markers. I added little die cut heart to the snowflake and tied used some peppermint twine for the bow and red sparkle twine for the top. 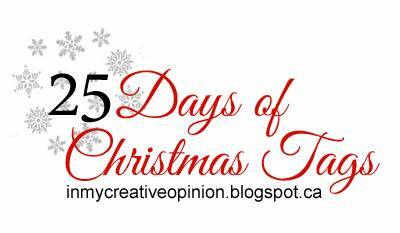 Be sure to visit Tracey's blog to see all of the tags contributed to the 25 days of Christmas Tags! Very cute. The sweater paper is the perfect background. Darling tag! Love the alpaca! This is SO super cute, Chari. I think what I love the most about it is that fabulous "ugly sweater" patterned paper. It's SO awesome, and it screams Christmas to me. I put this on my must-have list. Thanks for more fabulous inspiration, and have a blessed week. I love the teal and red color combo! Great tag. Love the paper that you used on the tag. Makes it look terrific! So cute with the llama, sweater background and heart/snowflake. Such a cute tag...love the llama. 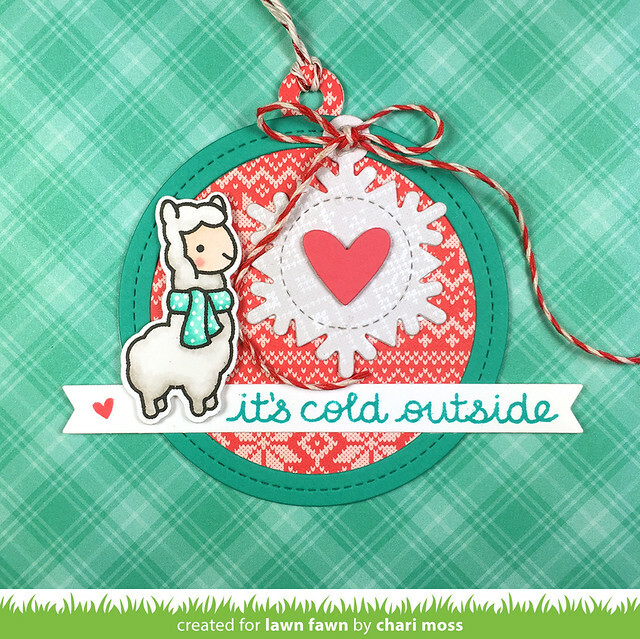 Super cute tag with the llama, the sweater design paper and the perfect sentiment! Your tag is adorable. The sweater background paper is perfect! Oh Chari, I seriously want to recreate EVERYTHING you make! You are so talented and have such an eye for originally and cute design! These would be perfect to attach to the crocheted items I am making for folks this holiday season! Thank you for the beautiful inspiration! This is a super sweet tag ! How sweet - the llama is too cute. Chari, this is perfection. Love every last bit of this adorable tag. This tag is so cute! I love all of the different layers you added to this wonderful tag! ADORABLE! I would love to receive such a beautifully made tag. Great colors too.